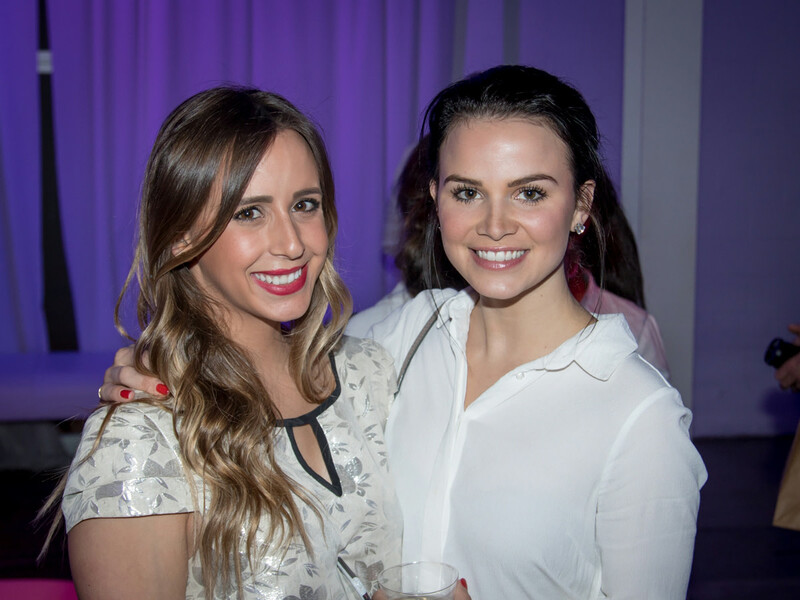 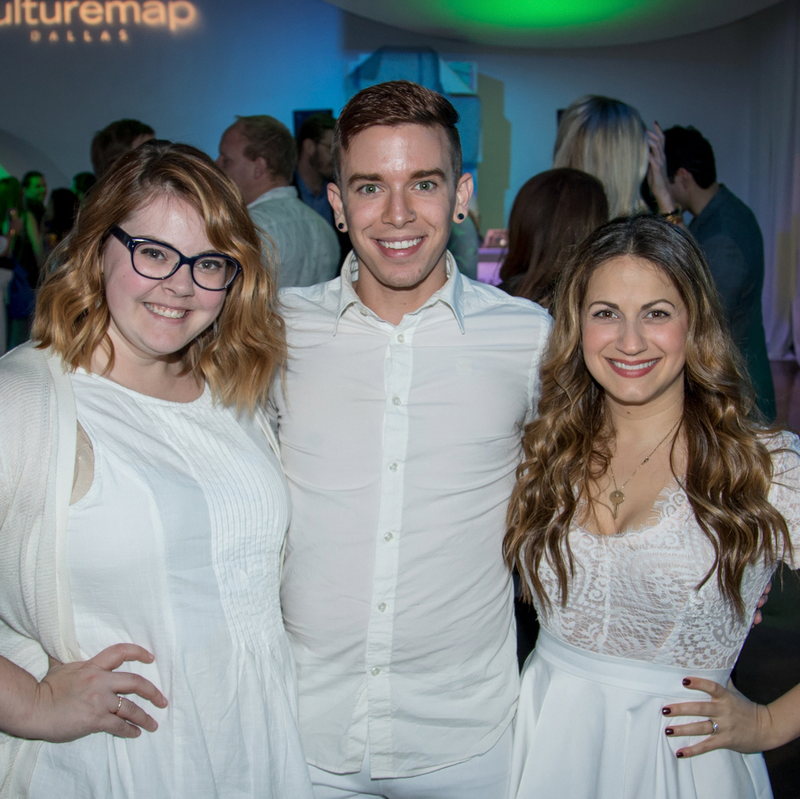 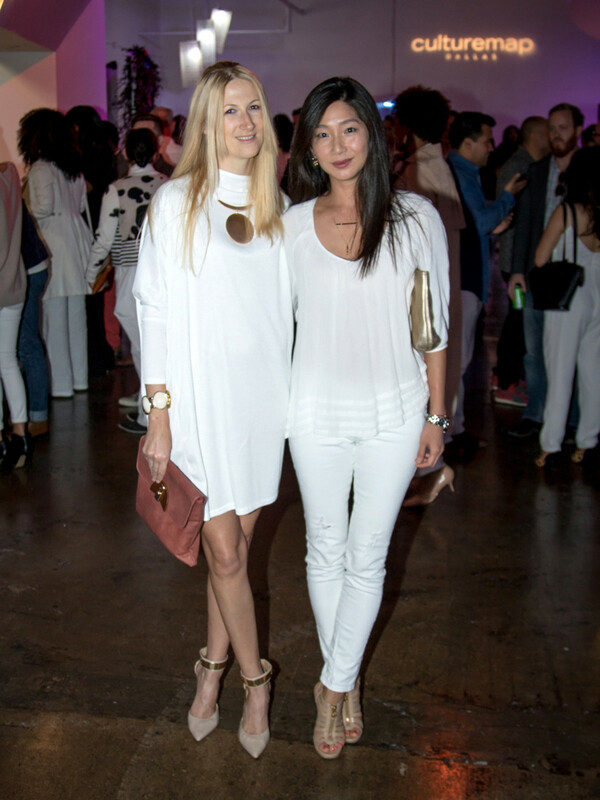 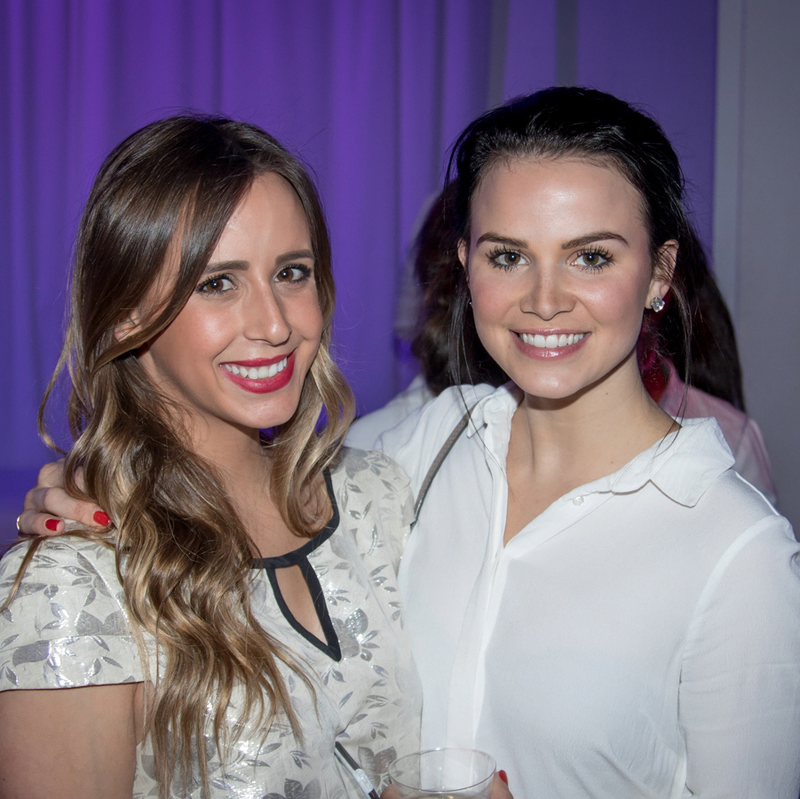 White was the color of the night at the first CultureMap Social of 2016 — at least at the beginning. 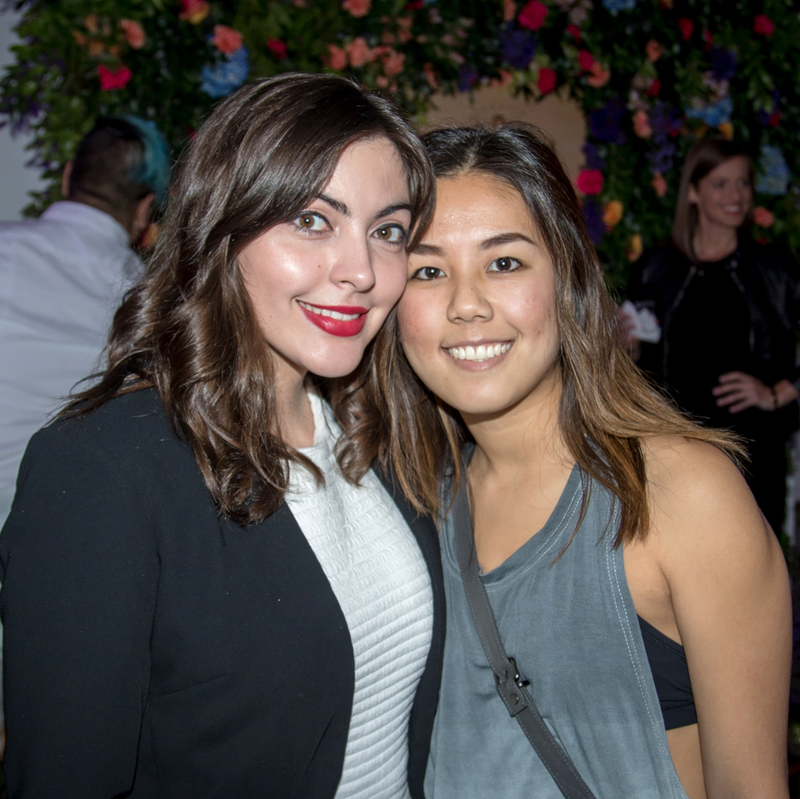 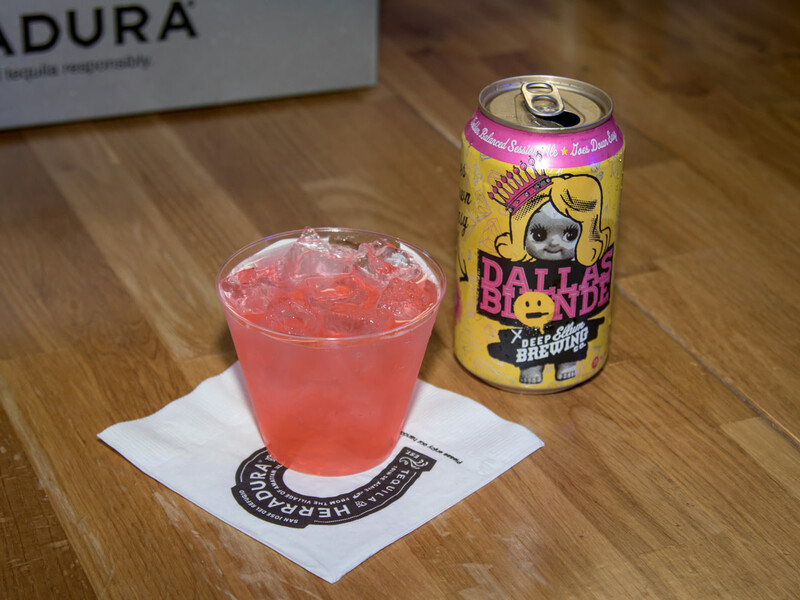 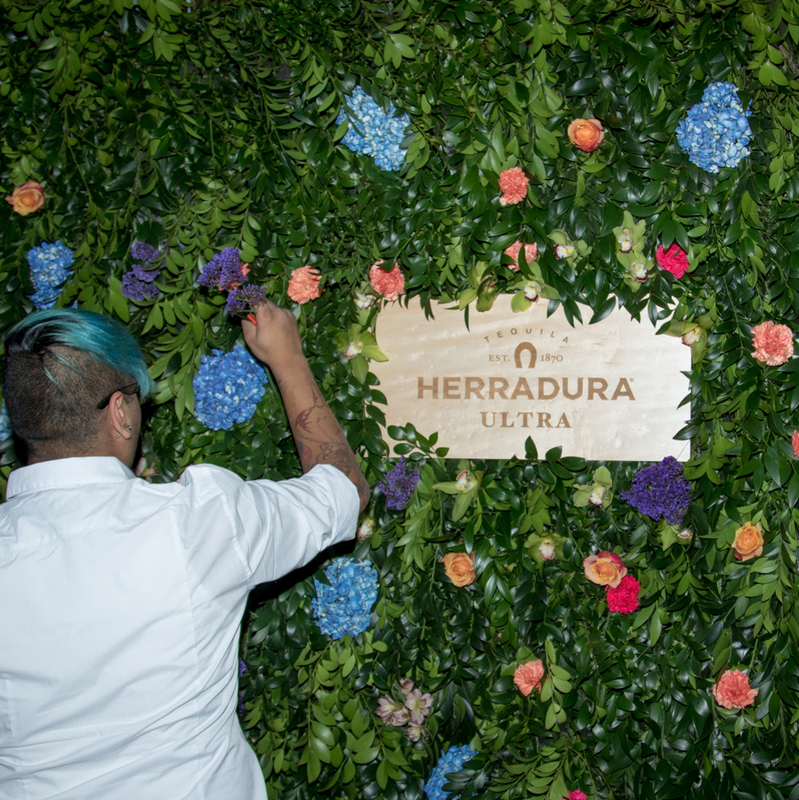 Eventually this Ultra Edition, presented by Tequila Herradura, turned into our most colorful young professionals mixer yet. 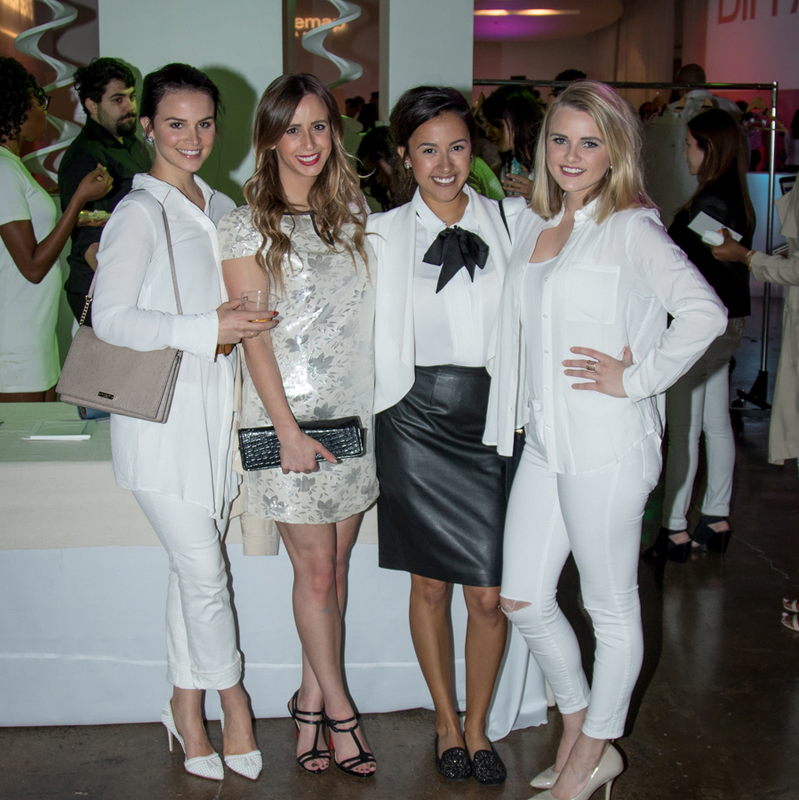 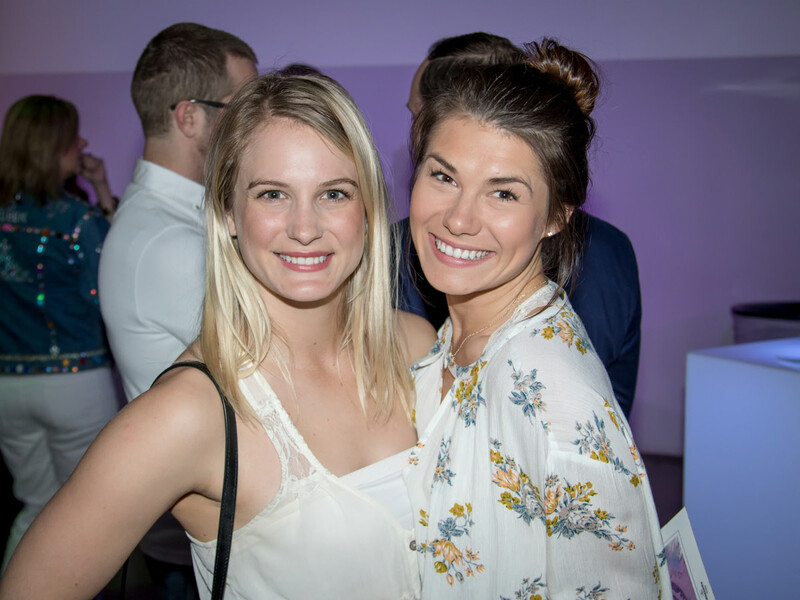 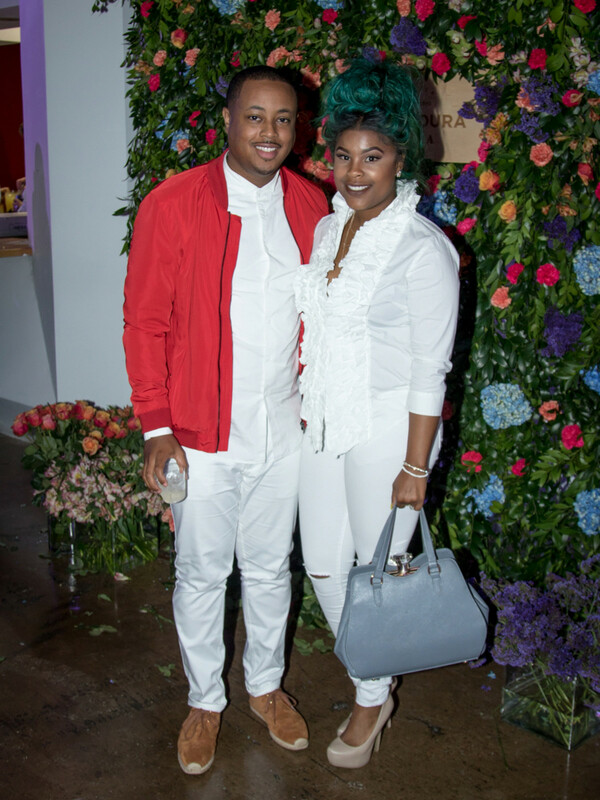 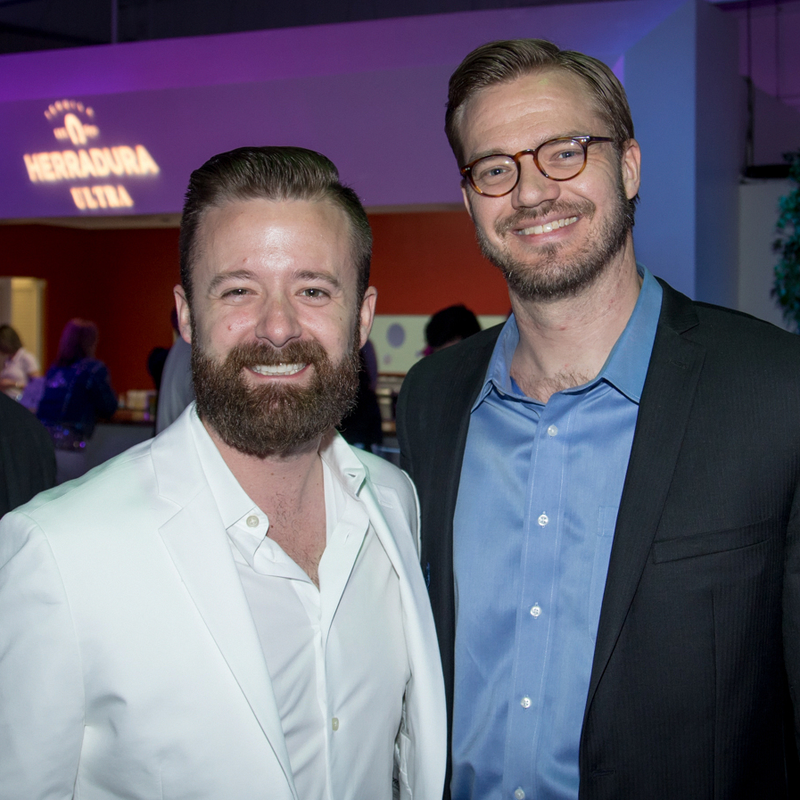 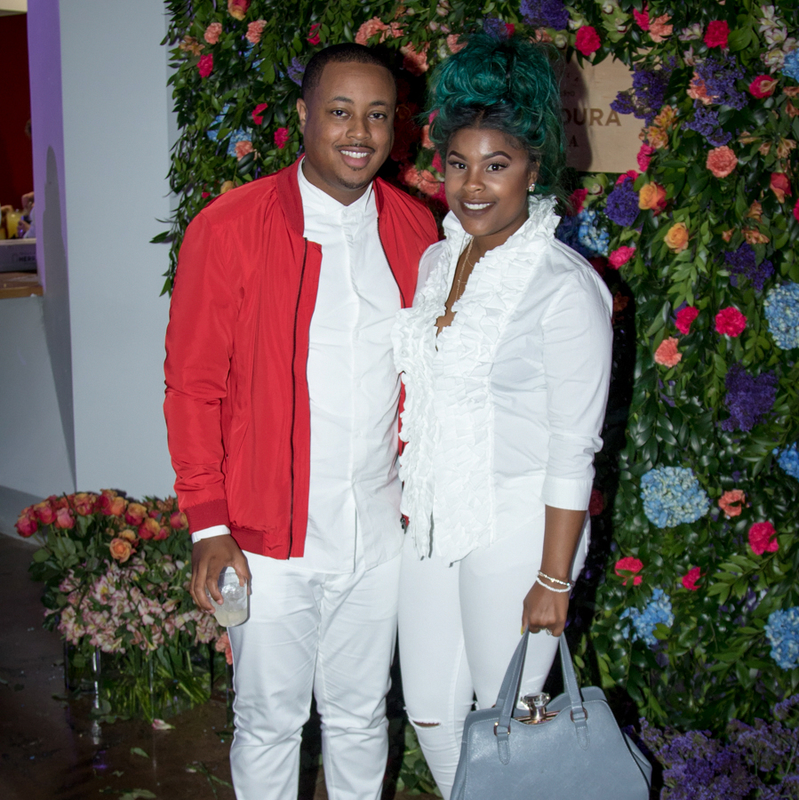 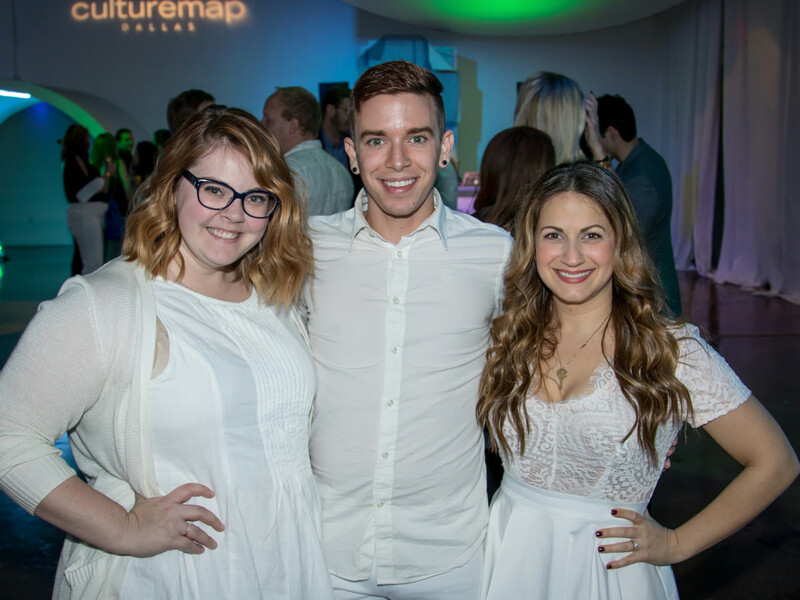 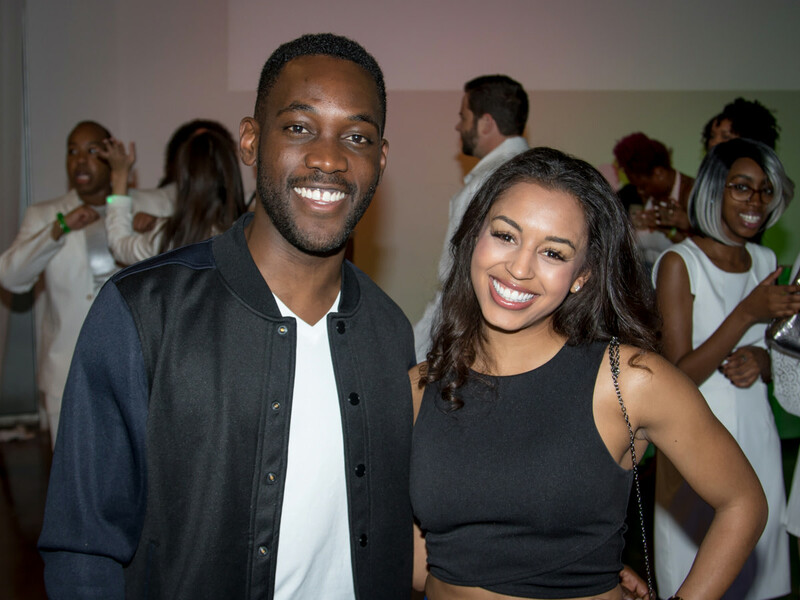 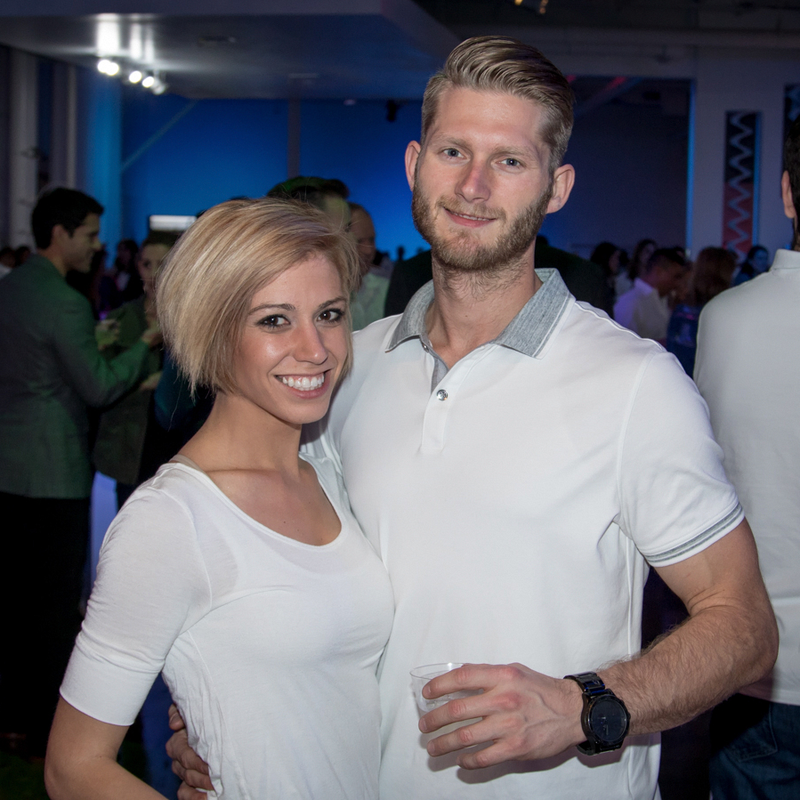 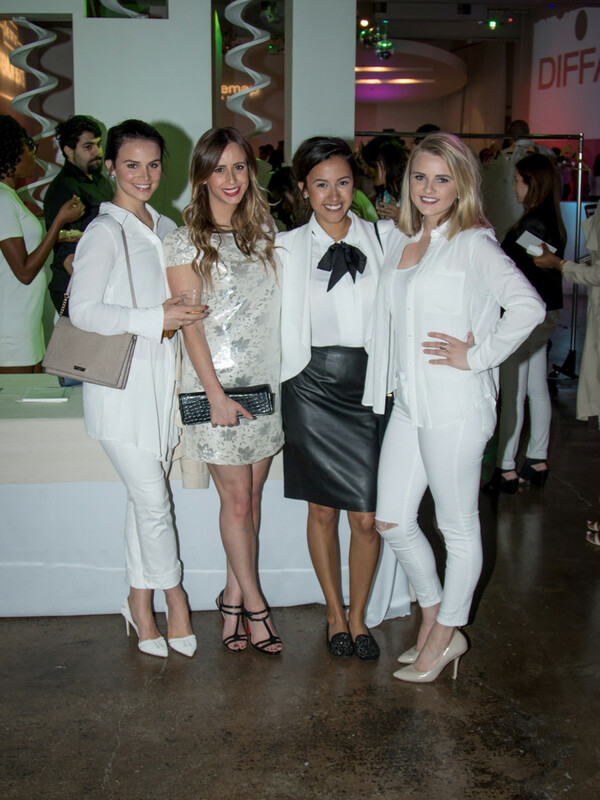 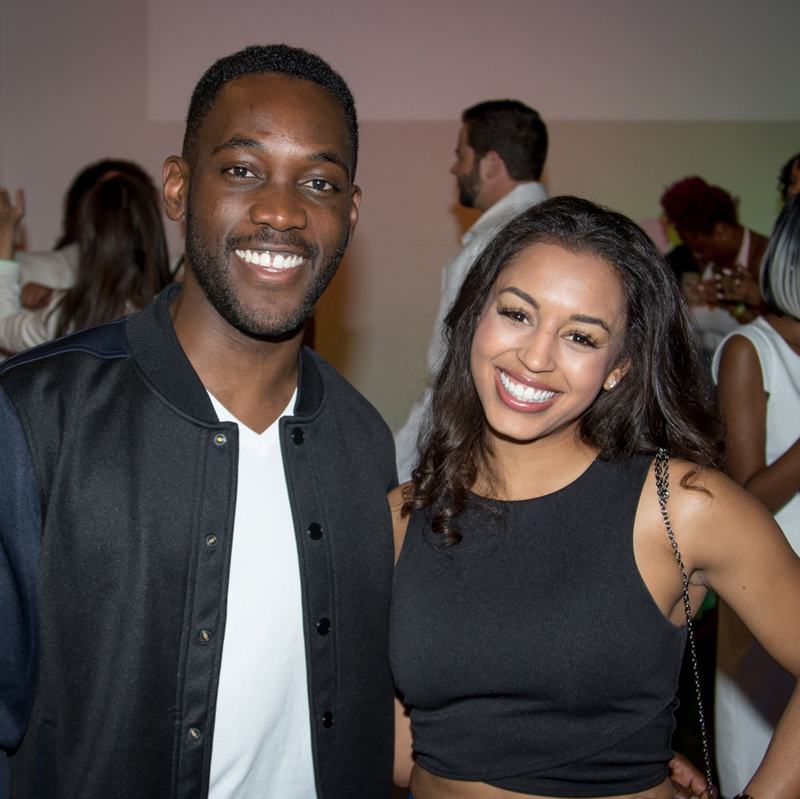 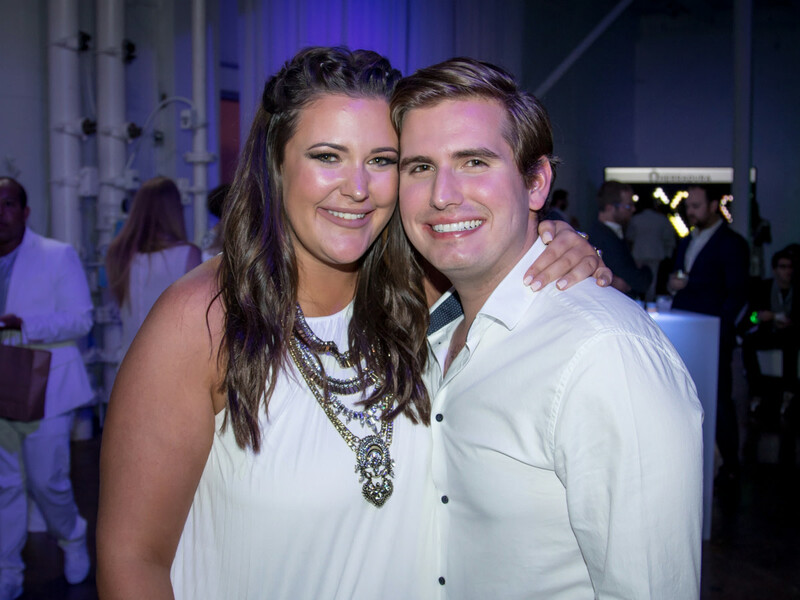 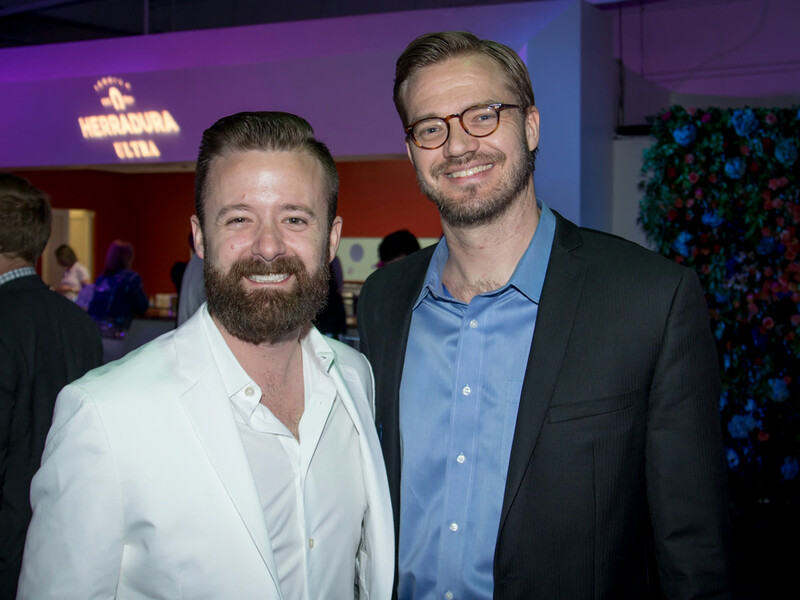 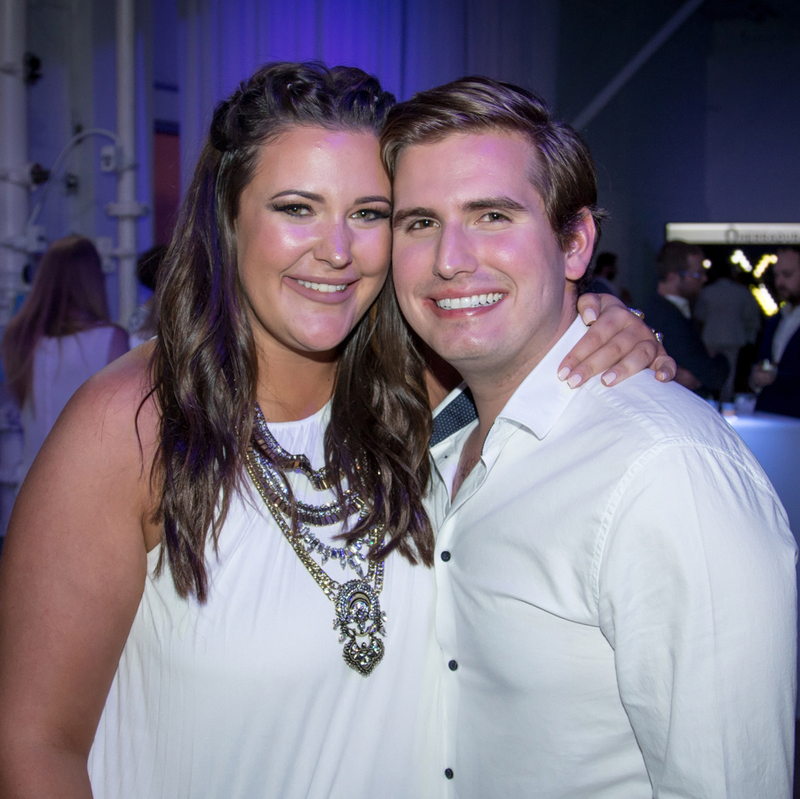 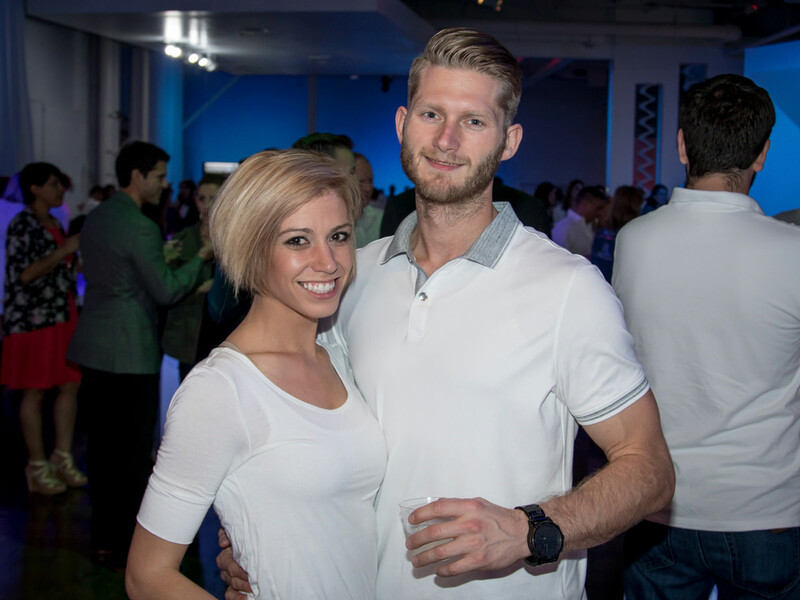 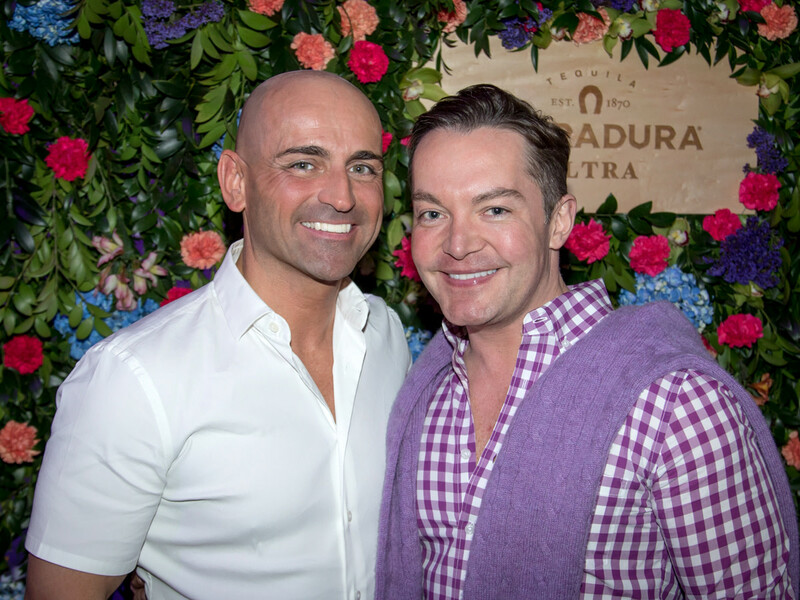 Most attendees went with the suggestion for white attire, and they blended right in at Seven for Parties in the Dallas Design District, which was decked out with chic white furniture courtesy of Fauxcades and Top-Tier Staffing and Events. 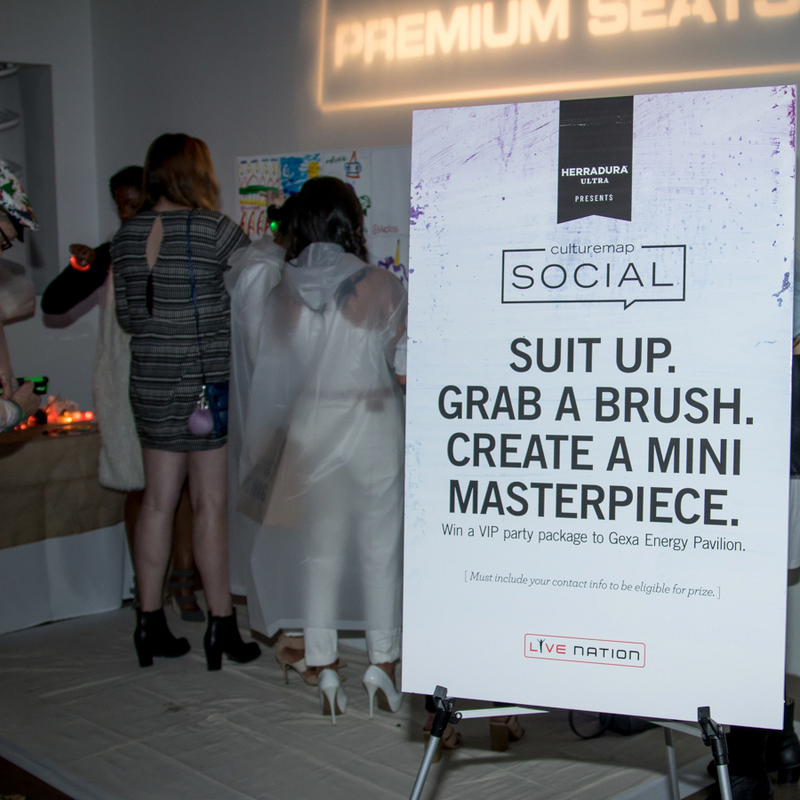 Partygoers' first stop was the SocialLight photo booth, where they not only snapped pics, but also painted the backdrop. 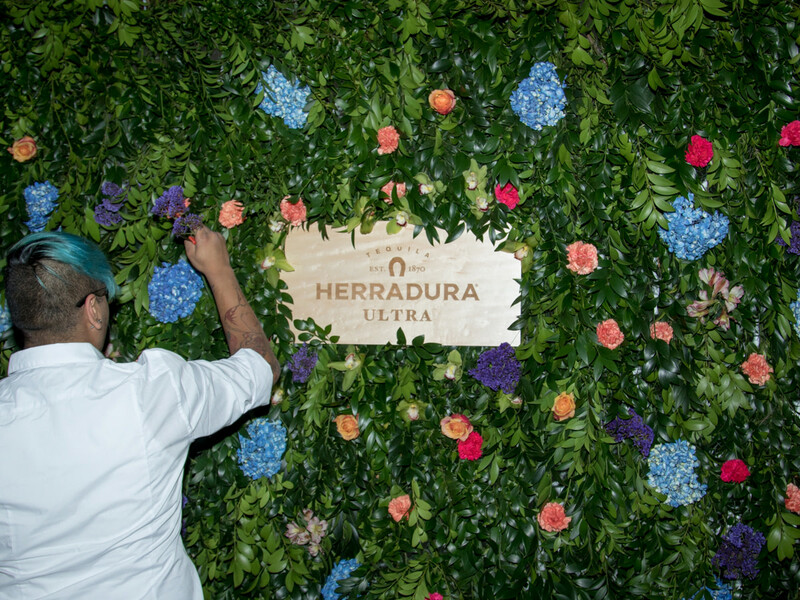 The white-to-color transformation continued at the floral wall installation created by Dr. Delphinium that bloomed as the night went on. 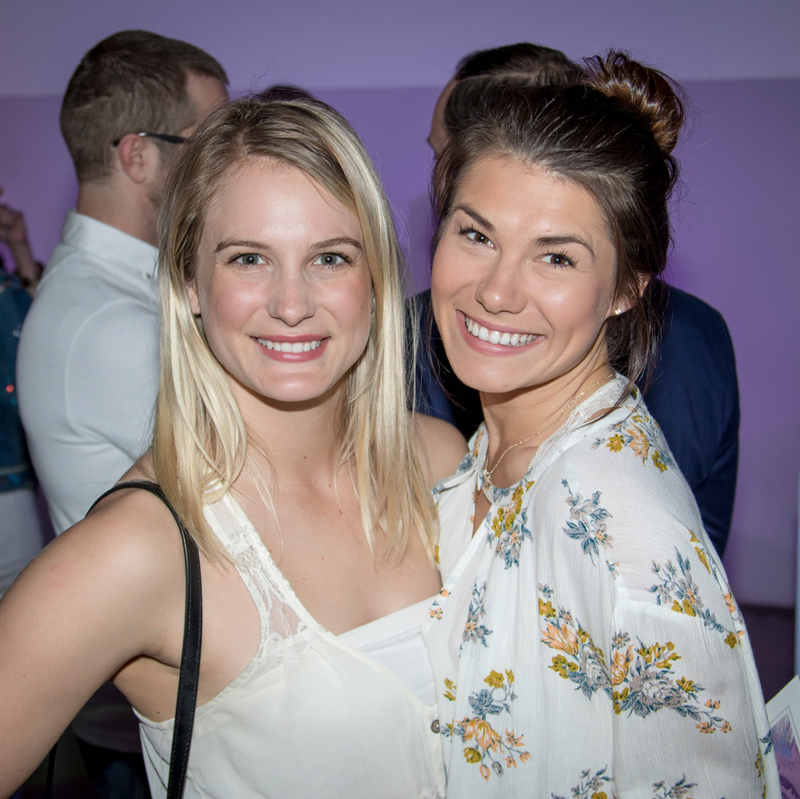 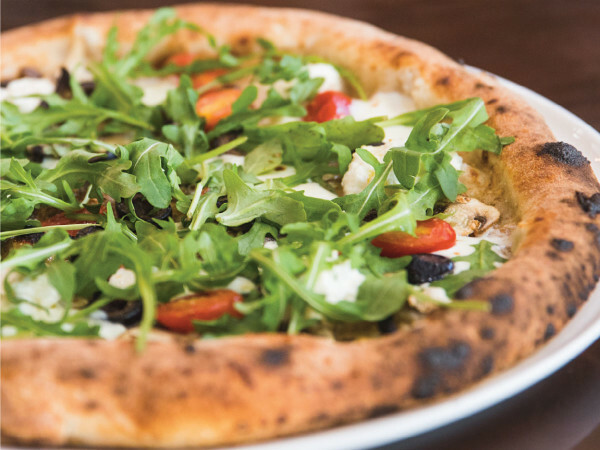 Even Vestals Catering adhered to the theme, as bites such as white bean puree and goat cheese paired with fresh vegetables gave way to tiny cups of gazpacho, mini fruit tarts, and macarons. 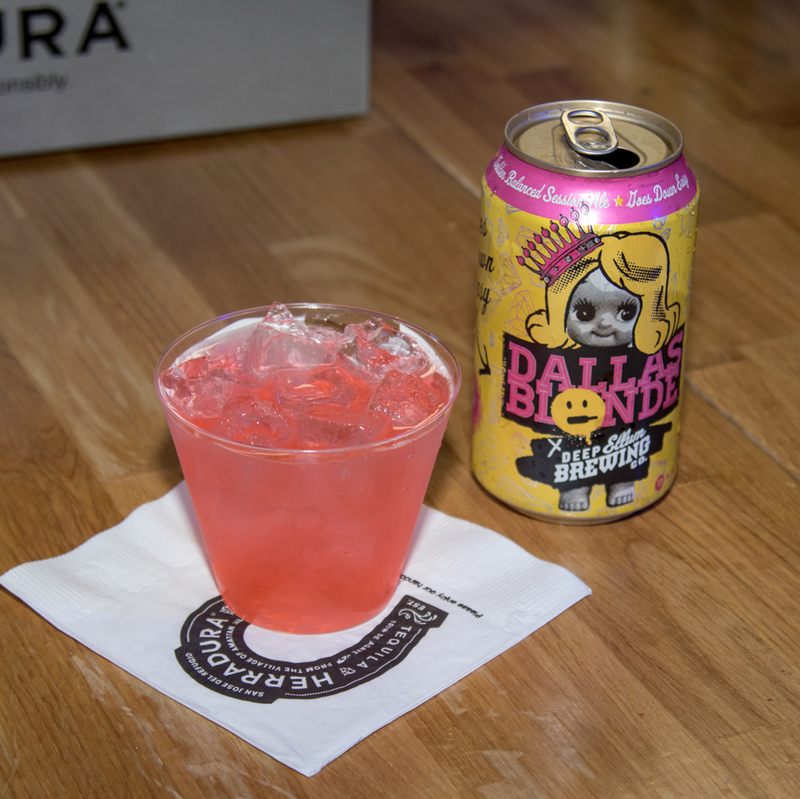 To wet their whistles, revelers — including Linda Snorina, Miso Ryu, Dannan Payne, Kristina Madsen, Cearan Henley, Shayne Robinson, Amanda Russell, Katie Norwood, Elizabeth Landry, Hailey Schwab, Jessica Carbone, Baleria Rodriguez, Fallon Gutierrez, Arthur Peña, Hunter Lancaster, and Brittanie and Jason Oleniczak and fellow devotees of event partner DIFFA/Dallas — could choose from Herradura margaritas, cans of beer from Deep Ellum Brewing Co., or Korbel Champagne. 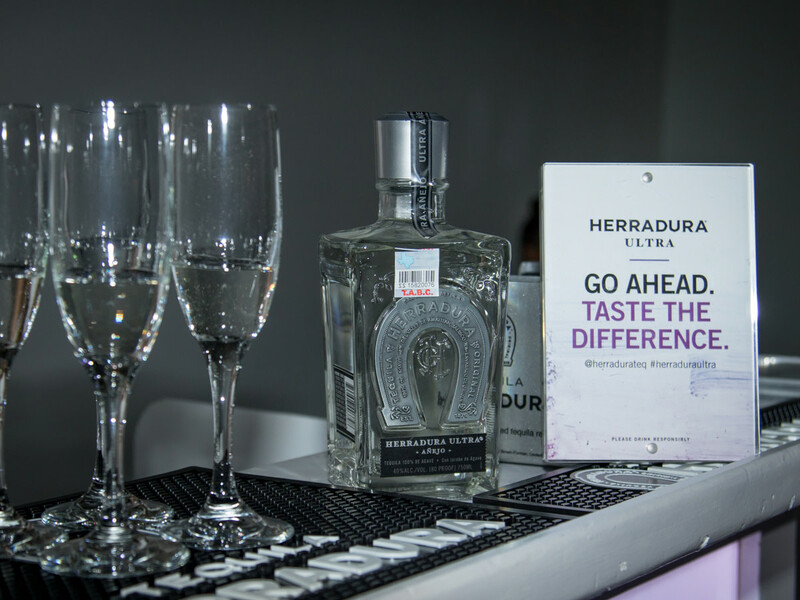 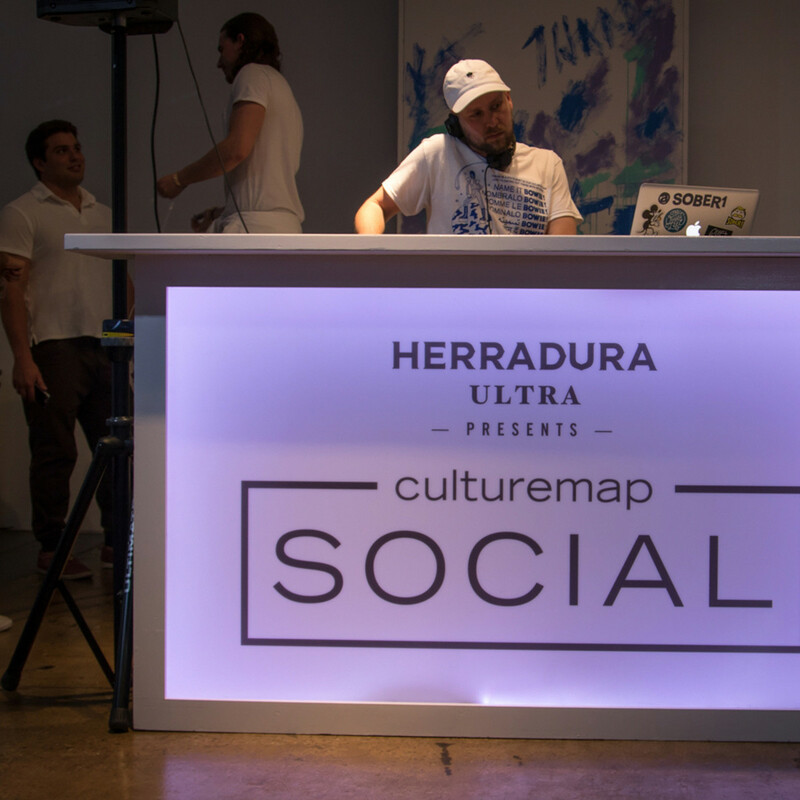 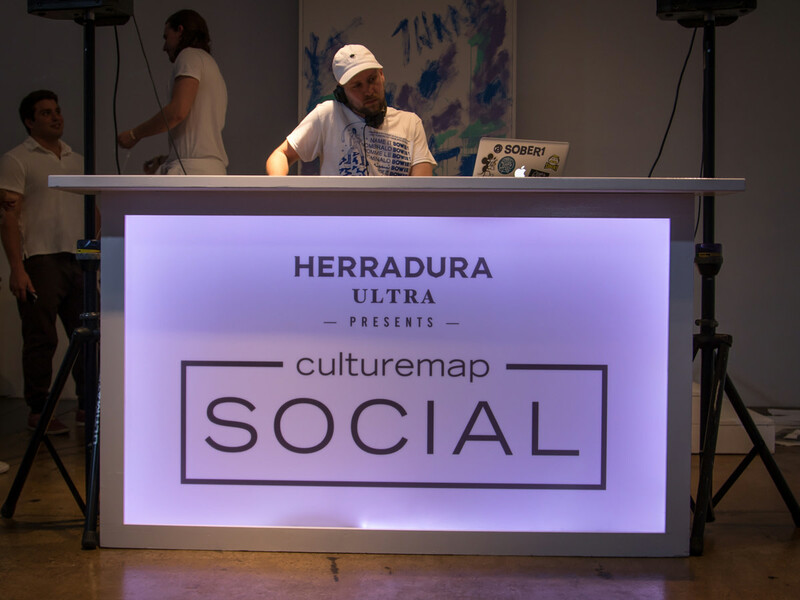 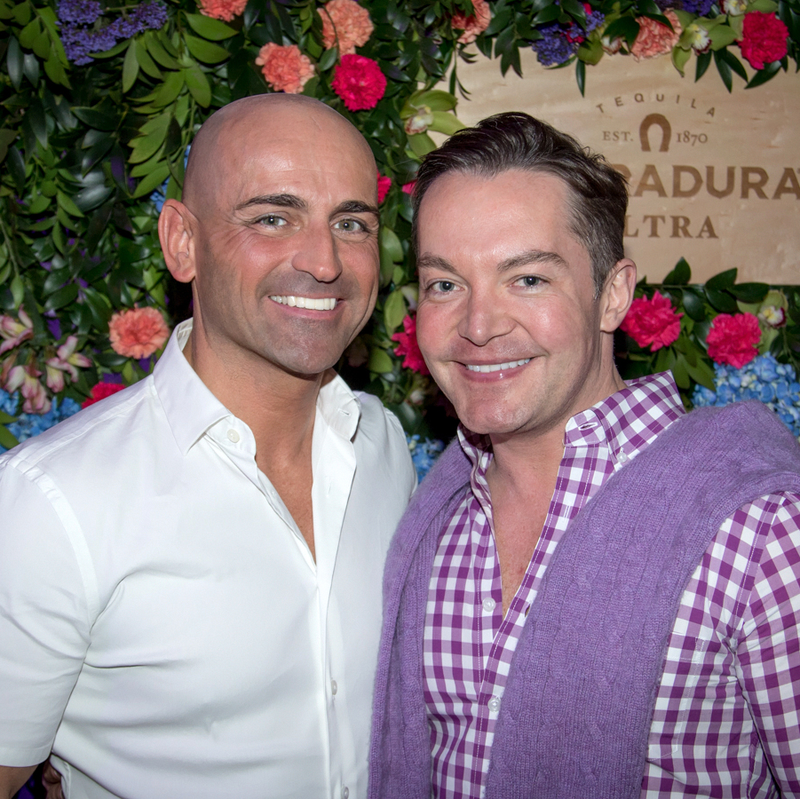 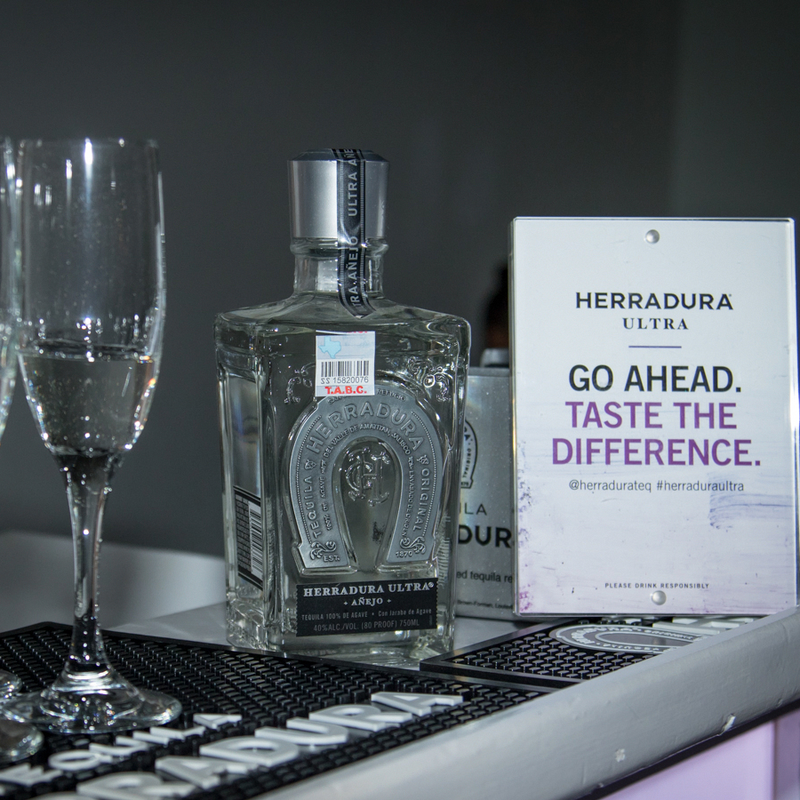 In the Herradura Lounge, guests sipped samples of the brand's newest tequila, Herradura Ultra, served in celebratory flutes. 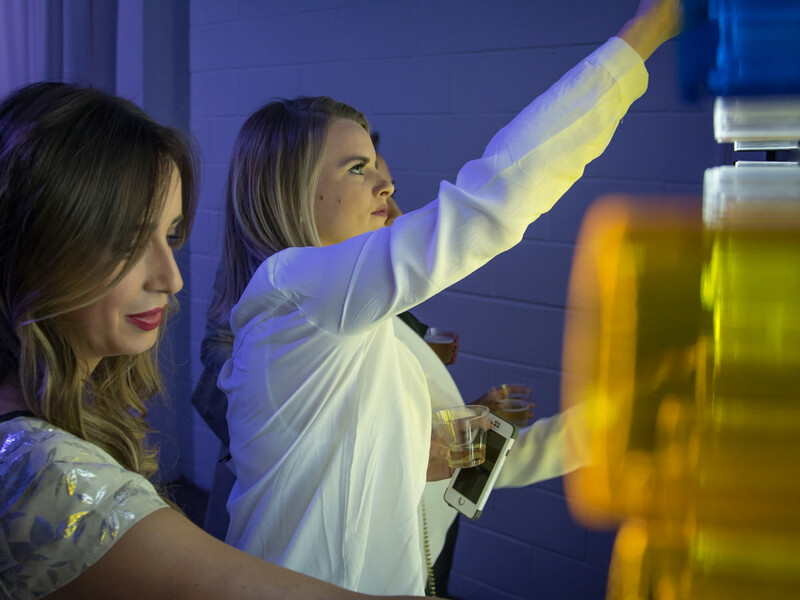 However, those flutes didn't get in the way of their playing with the giant Lite Brite or taking the spin art station for a whirl. 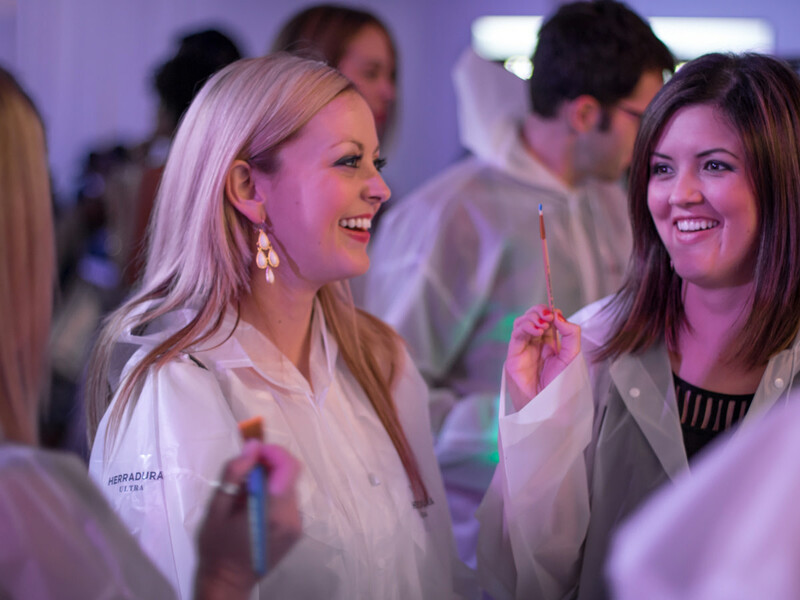 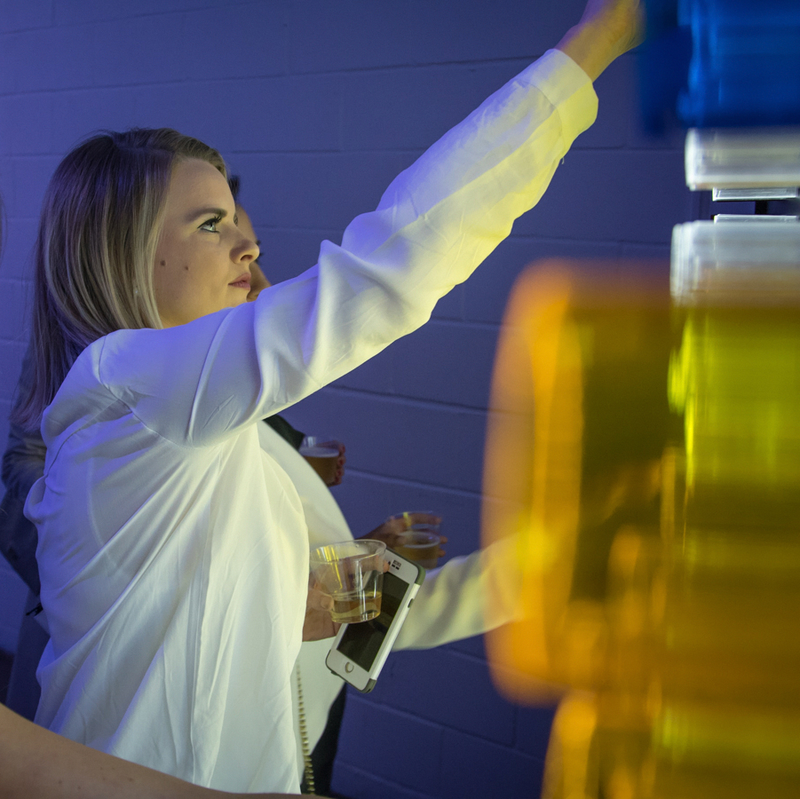 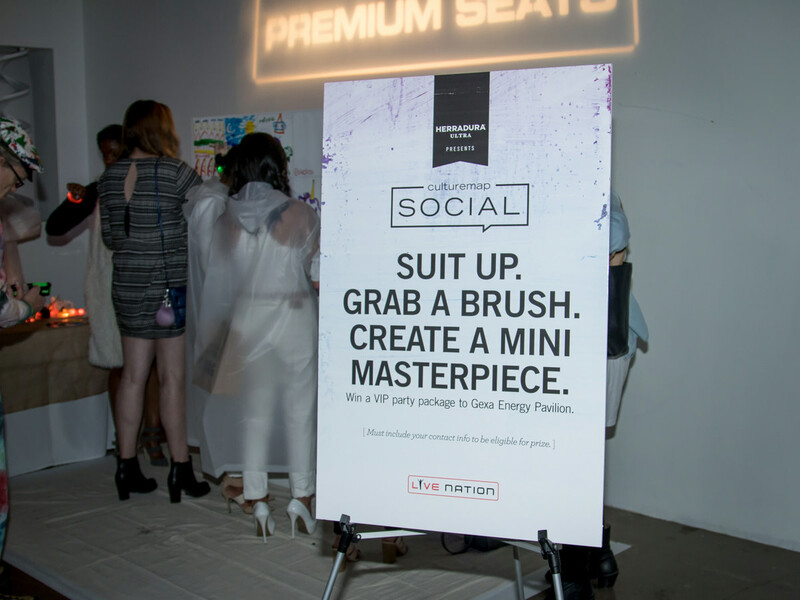 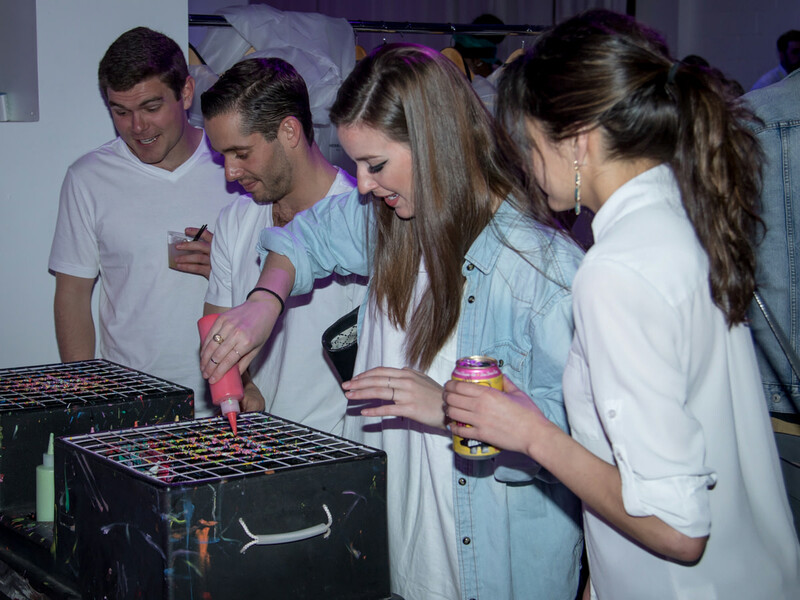 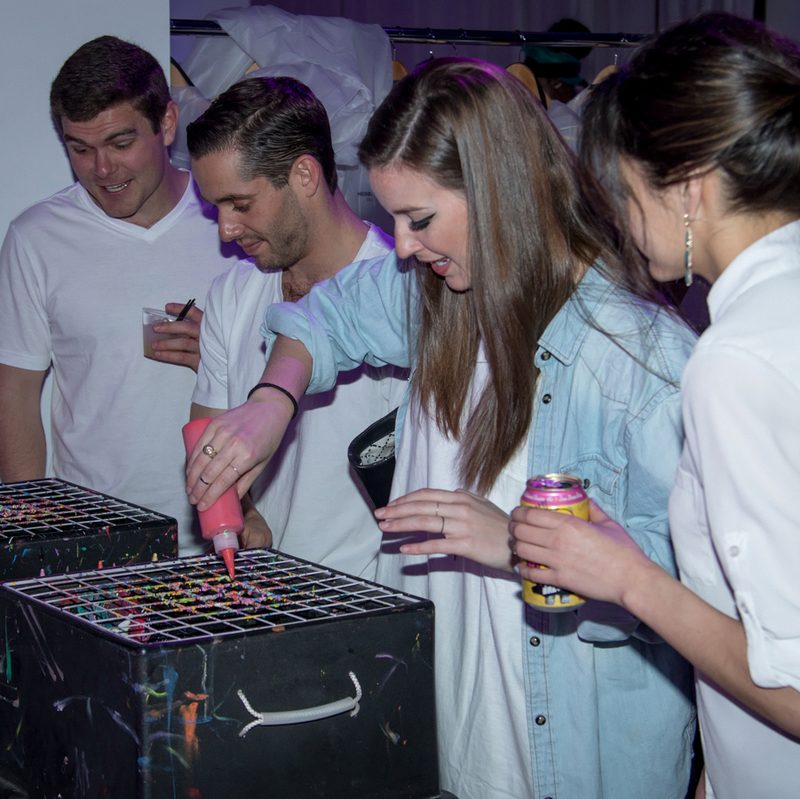 Speaking of art, Travis Haas McCann created a live installation during the party, and Live Nation provided an oversize canvas for budding artists to try their hand at creating a mini masterpiece. 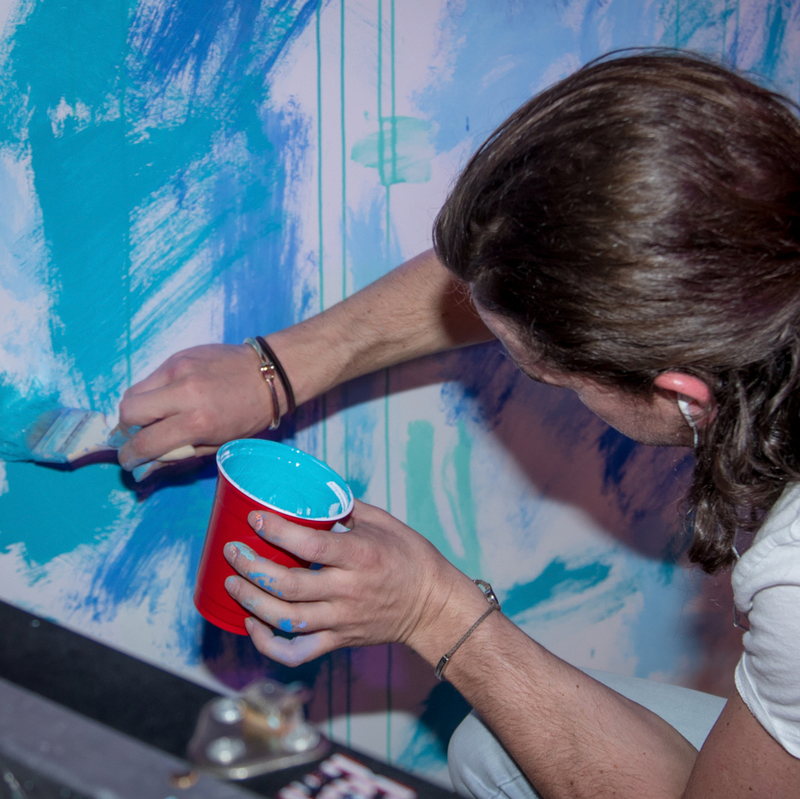 (Don't worry. 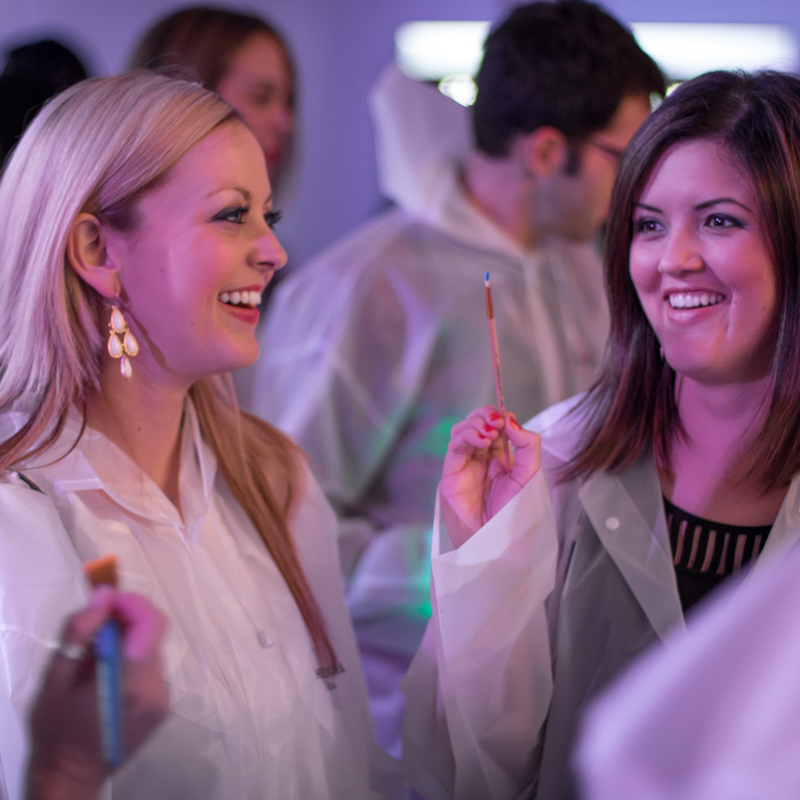 Plastic smocks were provided.) 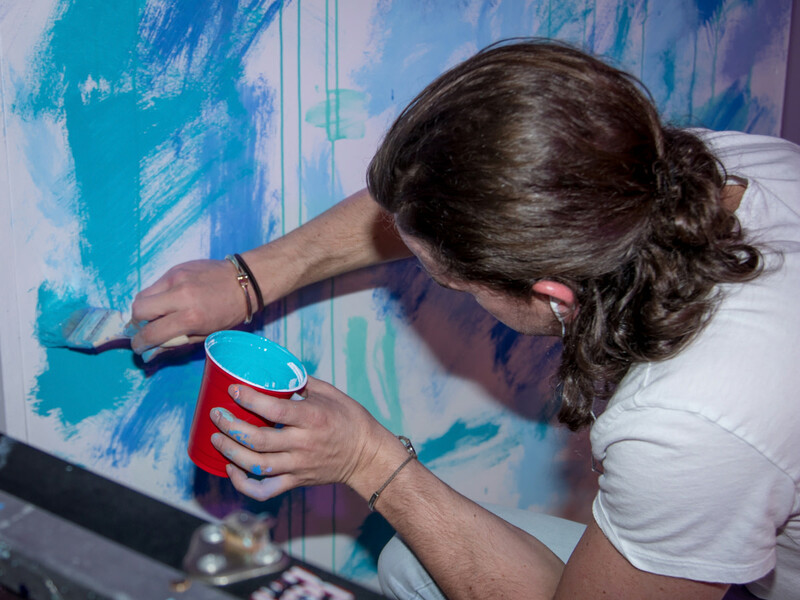 The winning amateur artist will be awarded a VIP party package at a Gexa Energy Pavilion concert of his or her choice. 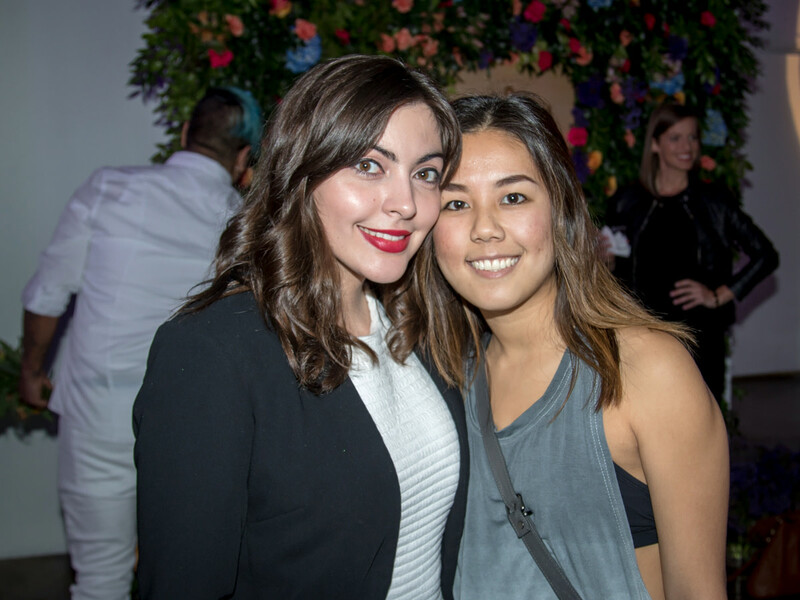 DJ Sober kept the beats thumping while Wanderdo wove florescent extensions into partiers' hair. 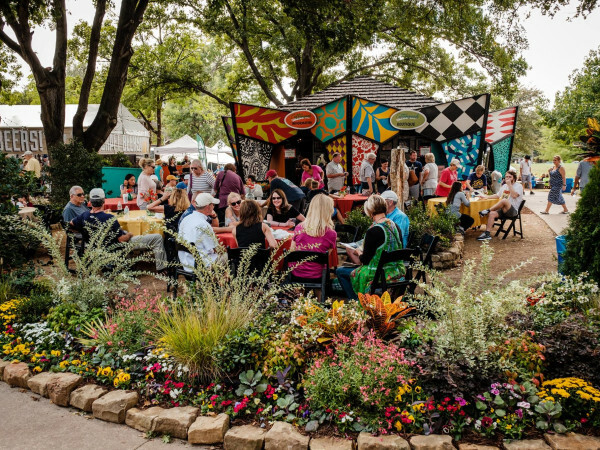 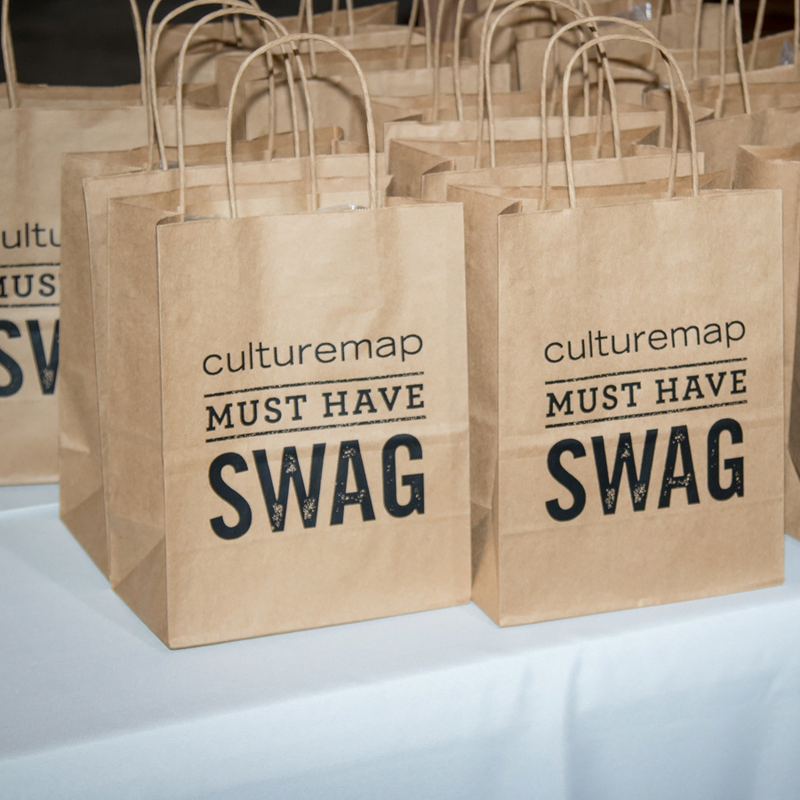 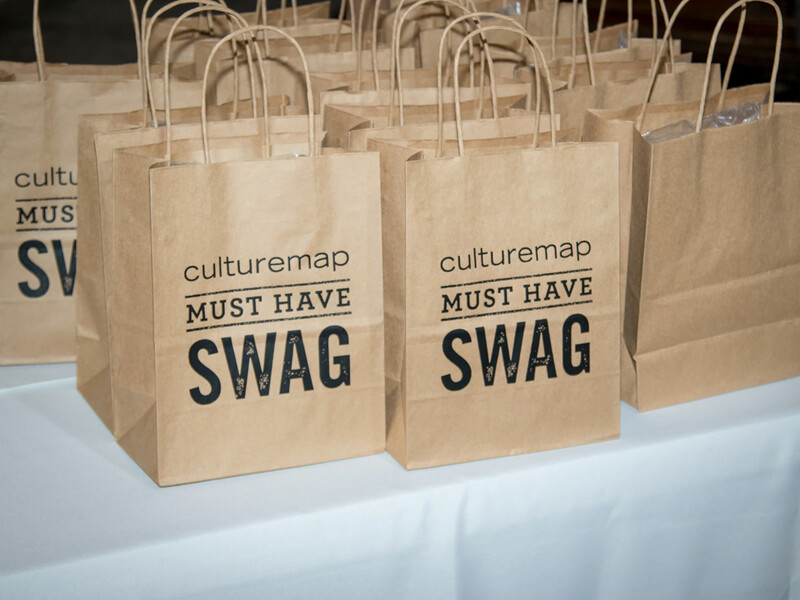 The social's end was made even brighter with the coveted CultureMap swag bags, this time containing Kendra Scott, Criquet Shirts, $25 gift cards to City Council, and wireless speakers from Live Nation.